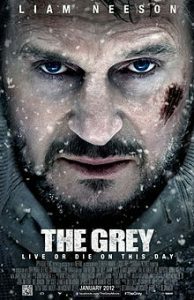 This is a list of movie recommendations of movies similar to The Grey. Bear in mind that this list is in no particular order. 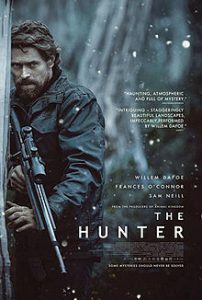 A shadowy corporation sends a mercenary (Willem Dafoe) to Tasmania to track down a nearly extinct tiger whose genetic code holds the secret to a dangerous weapon. Though the South Pacific’s Esa-ala Caves are some of the least-accessible on Earth, expert diver Frank McGuire (Richard Roxburgh) has explored them for months. On one such expedition, Frank is joined by his teenage son, Josh (Rhys Wakefield), and financier Carl Hurley (Ioan Gruffudd). When a flash flood cuts off their exit, they are caught in a life-or-death situation. 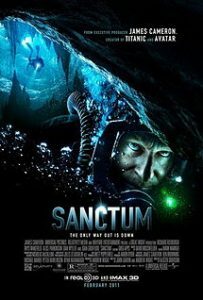 With supplies dwindling, the divers must navigate a treacherous labyrinth to find a new escape route or die in the process. 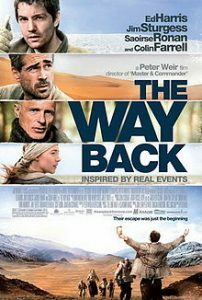 Denounced by his wife as a possible spy in 1939, Janusz (Jim Sturgess) finds himself in a remote Siberian labor camp. Faced with brutal conditions inside and out, Janusz is determined to escape. 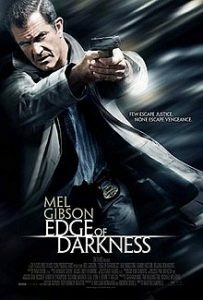 A blizzard provides him with the perfect opportunity, and he and a small group of fellow prisoners make a break for it. Escape, however, is the easy part, for Janusz and his companions face a 4,000-mile trek on foot through the frozen Himalayas before they can truly be free. 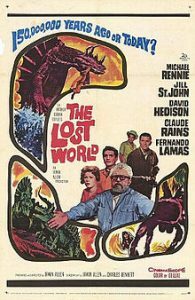 Anthropology professor George Challenger (Claude Rains), explorer Lord John Roxton (Michael Rennie) and an assorted team of thrill seekers and experts trek through a Venezuelan rainforest that they suspect may be home to living prehistoric creatures. Before long Challenger, Lord John and company discover a valley filled with vicious dinosaurs and oversize arachnids — unfortunately, their chopper breaks down, leaving them stranded in one of the deadliest environments on Earth. 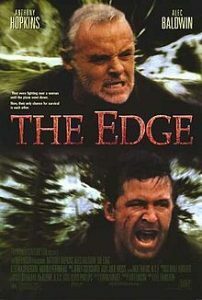 The plane carrying wealthy Charles Morse (Anthony Hopkins) crashes down in the Alaskan wilderness. 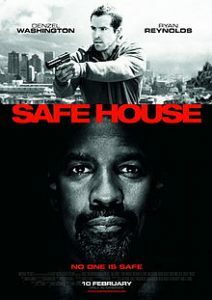 Together with the two other passengers, photographer Robert Green (Alec Baldwin) and assistant Stephen (Harold Perrineau), Charles devises a plan to help them reach civilization. 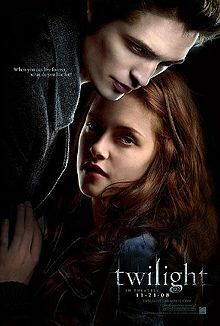 However, his biggest obstacle might not be the elements, or even the Kodiak bear stalking them — it could be Robert, whom Charles has reason to believe is having an affair with his wife and would not mind seeing him dead. 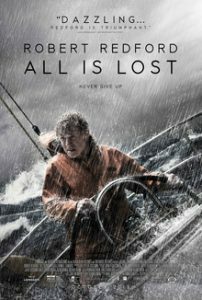 During a solo voyage in the Indian Ocean, a veteran mariner (Robert Redford) awakes to find his vessel taking on water after a collision with a stray shipping container. With his radio and navigation equipment disabled, he sails unknowingly into a violent storm and barely escapes with his life. With any luck, the ocean currents may carry him into a shipping lane — but, with supplies dwindling and the sharks circling, the sailor is forced to face his own mortality. 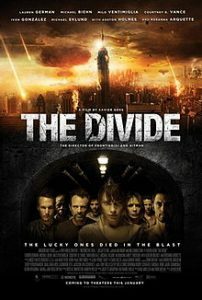 A devastating nuclear attack thrusts nine strangers together in the bunker-like basement of their New York apartment building. The survivors are trapped underground with no hope of rescue, and only horror on the other side of the door. As supplies dwindle and tempers flare, they become increasingly unhinged by the close quarters and hopelessness of their situation and turn on one another. Still, one survivor holds on to a thin chance for escape, even though salvation is unlikely. 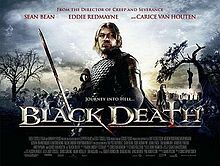 During the time of the bubonic plague in 14th-century England, young monk Osmund (Eddie Redmayne) is recruited by the knight Ulric (Sean Bean) to lead a group of soldiers through the marshes into a mysterious village, where rumors are spreading that a necromancer is raising plague victims from the dead. Osmund agrees, but he has an ulterior motive–to find Averill (Kimberley Nixon), a young woman who has gone missing. Along the way, the group encounters unimagined darkness.